Harold Davis, BA, RVT, VTS (ECC) (Anesth & Analgesia) is a Registered Veterinary Technician who grandfathered in to take the California Animal Health Technician Examination. He was also certified in Florida as a Veterinary Technician. He is a graduate of California State University, Sacramento with a Bachelor of Arts degree in Biology. Harold has been in the profession for almost 43 years and was drawn to the profession because of a love of animals and an interest in medicine. Harold has worked in full service veterinary clinic at a local humane society, general daytime practice, private emergency practice and until July 2018 was the Manager of the Emergency and Critical Care Service at the UC Davis William R Pritchard Veterinary Medical Teaching Hospital. He worked at UC Davis for close to 36 years. Prior to managing the Emergency Service, he was an ICU technician, coordinator and instructor in clinical practice for all first thru third year veterinary students, and he was the emergency service supervisor. Currently he is a veterinary practice educational consultant/lecturer providing in hospital continuing education opportunities. As co-founder of the Academy of Veterinary Emergency and Critical Care Technicians, Harold was instrumental in working with and obtaining from the North American Veterinary Technicians Association (Now known as the National Association of Veterinary Technicians in America (NAVTA)) provisional recognition for technicians as specialist. This was the first organization to receive this acceptance. He is also a charter member of the Academy of Veterinary Technicians in Anesthesia and Analgesia. Harold is a former member-at-large to the Board of Directors for the Veterinary Emergency and Critical Care Society (VECCS), having also served as treasurer and president. Harold is the first non-veterinarian elected as president of this 5000 plus member organization. Harold says that one of the highlights of his career was being selected to serve on the Board of Directors for the North American Veterinary Community; he is Chairmen of the Bylaws Committee and member of the Governance, Finance and Earl Rippie Veterinary Technician Scholarship committees. 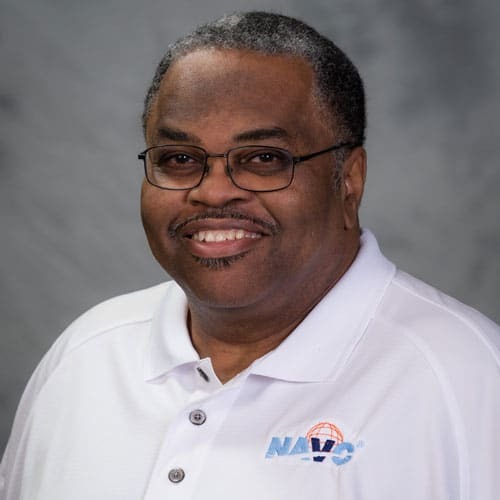 Harold is a member-at-large on the Executive board of NAVTA. Harold has served on several continuing education program committees for various organizations such as AAHA, ACVIM, VECCS, and UC Davis. In 1985 Harold was appointed by California Governor George Deukmejian to serve on the Registered Veterinary Technician Examining Committee, a subcommittee of the Veterinary Medical Board. Harold was elected as Chairmen and Vice Chairman; he served a record fifteen years on that committee. He was on the editorial board for the Journal Veterinary Technician. Harold is the recipient of many awards and honors. He is a national and international speaker having spoken in eleven countries. Harold has published several book chapters, journal articles and co-edited a book entitled Advanced Monitoring and Procedures for Small Animal Emergency and Critical Care.